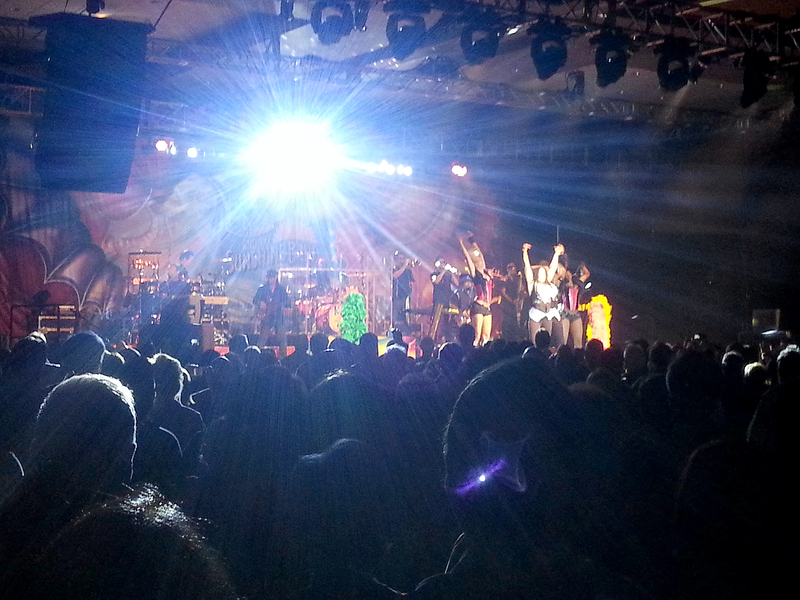 KC and the Sunshine Band rocked Scottsdale, Arizona. And I was there! Disco and the disco ball, light show, and go-go dancers shaking their booty were totally happening on stage at the Talking Stick Resort in Scottsdale with KC & The Sunshine Band when he visited Arizona in November. One forgets how many hits KC has until you listen to him sing them one after the other. With a 16-piece band, his killer musicians rocked the night with great solos – the drummer, bass player and horn section were particularly talented. The group was completed with two back up ‘chick’ singers who also jiggled with the aforementioned go-go dancers. After opening with his hit Get Down Tonight, Harry Wayne “KC” Casey stopped to comment on his weight gain that he blamed on quitting smoking. He joked that he was going to change the name of the band to “KFC and the Sunshine Band!” which drew a loud laugh from the audience. But, any added heft certainly didn’t slow KC down. He kept up the tempo all night long from Shake your Booty, to Boogie Shoes. KC also announced that he’s releasing his new CD of cover tunes from his career beginning with the 60s. 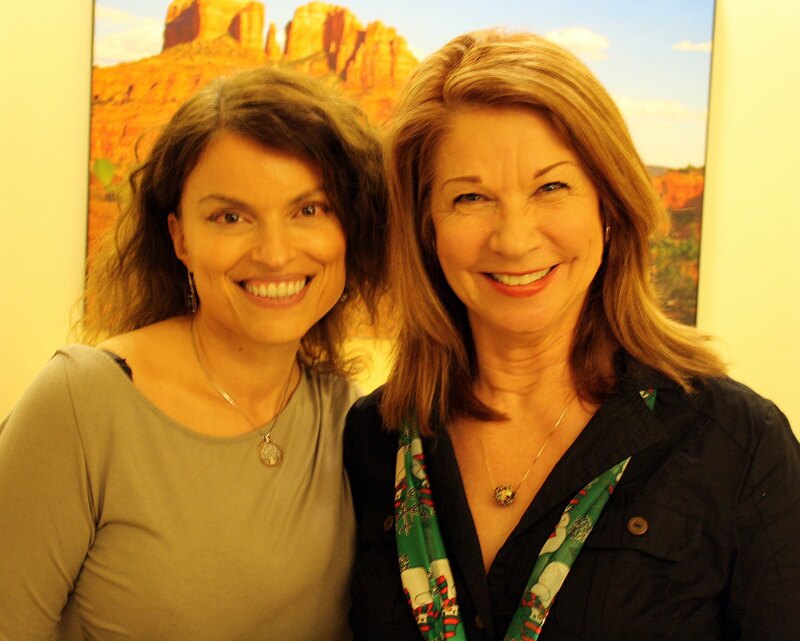 The first new CD launches in March 2015 called Feeling You! The 60s. What a concert! The show was a high energy and well choreographed, KC got the crowd up on their feet from the very first song … it was a really great Disco-throwback evening. KC showed off his dance moves keeping pace with the two disco girl dancers and two backup singers who also bopped along with KC. By the time the band broke into their final song That’s the Way (I Like It), the crowd, the singers, the dancing girls, and the band was near exhaustion, but not KC. Do yourself a favor, if you ever get a chance to see KC and the Sunshine Band perform, do! The amazing photo to the right is from the concert taken by Douglas Collins. The bright spot is the disco ball … of course! 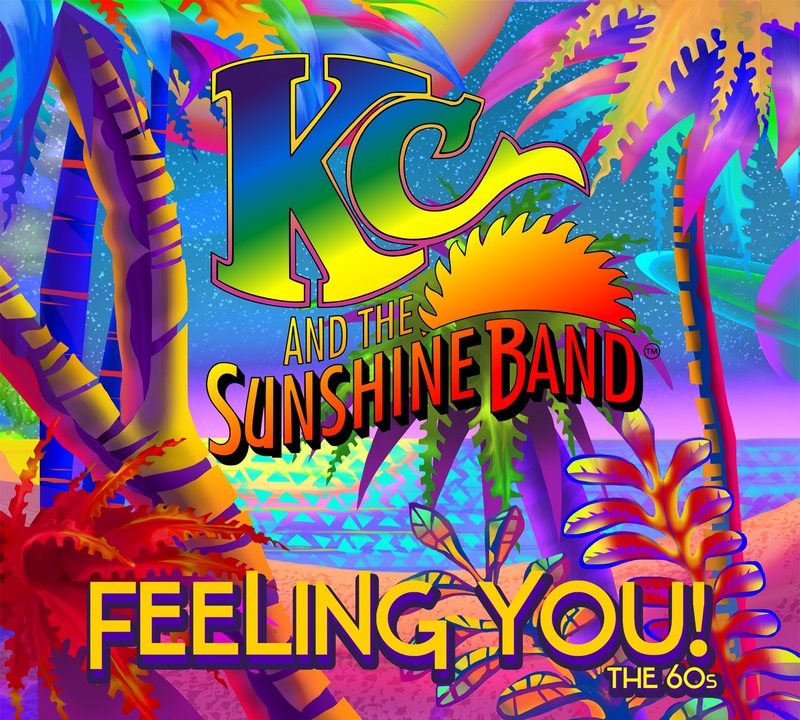 About KC and The Sunshine Band: KC and The Sunshine Band aim to serve a single purpose: to create instant happiness through music. For over 40 years the group has done just that, topping the charts with seven No. 1 singles and three triple platinum albums, winning three Grammy® Awards, including Album of the Year for the Saturday Night Fever soundtrack, an American Music Award, and becoming the first act since The Beatles to score four No. 1 pop singles in one 12-month period in 1976. In 2001, KC was honored with the National Association of Recording Arts and Sciences Governor’s Award, the highest honor given by a chapter of the Academy. The band’s infectious sound gives life to countless ad campaigns and hundreds of movie soundtracks. 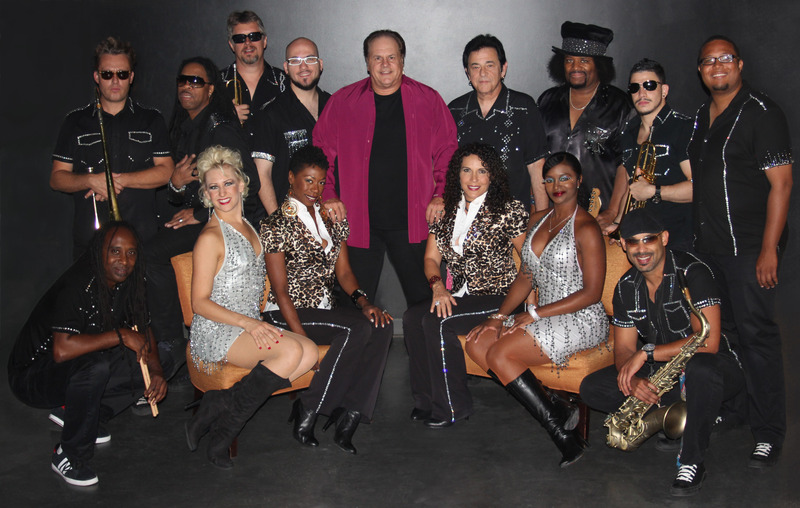 KC and The Sunshine Band has defined disco and forever influenced music with its timeless sound and mission of getting people out of their seats to celebrate, which is still being fulfilled today.